The Top Cash for Gold Buyer in Mesa! We are the one gold buyer in Mesa, Arizona that you can count on to always provide fair treatment and top dollar for any gold valuables you are willing to sell us. We can pay you the highest prices, because we have an expert in-house gold buyer who is very familiar with gold valuables, and who is in constant touch with the New York spot market that sets the price of precious metals for trade in this country. If you would like to get some kind of estimate of the value of your gold pieces, you can call us ahead of time, but you should also be aware that to get a really accurate valuation for your gold collection, you would need to bring it to us in person, so the individual pieces can be tested and weighed in your presence. What If I Don’t Live IN Mesa? It will definitely be worth your while to make the drive into our gold buyer store if you live anywhere in this part of the state, including the communities of Scottsdale, Phoenix, Chandler, Apache Junction, Gilbert, or Tempe, to find out exactly how much your gold pieces are worth. 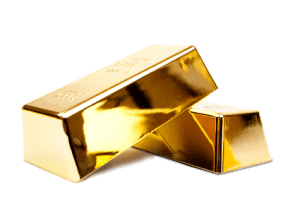 With more than three decades in the gold buying business, we have the experience and the knowledge to have a complete understanding of the real value of your gold. What Types of Gold Do You Accept? We’re glad to accept all kinds of gold in the many forms that it has been fashioned into over the years, including gold necklaces, rings, bracelets, earrings, coins, bullion, gold bars, and all the other creative ways that jewelers and goldsmiths have shaped it. Even if your gold jewelry is cracked or broken, chipped or worn out, it will still have value to us, as long as we can resell it to others. So even if you don’t think your damaged jewelry is worth much, you should always bring it in and have it checked out by our gold experts. We also pay a special premium on vintage gold, and if you aren’t really sure what vintage gold is, bring yours in and we’ll be happy to identify it as such for you. Rest assured that no items are considered too small or too large for us to handle, even if your collection of gold has an actual value in the hundreds of thousands of dollars. We buy gold in our Mesa, Arizona store, but we also offer you the opportunity of simply pawning your gold valuables, and redeeming them after you’ve paid off the loan over three months. In this way, you get immediate cash for your gold, and you can resume full ownership once you’ve paid off the interest and principle of your pawn loan. If you are experiencing real financial hardship, you can even maintain the loan in good standing by simply paying on the interest if need be, until you are able to once again pay down on the principle to lower your balance. We are all about being flexible and accommodating at our gold buyer store, because your business is important to us, and we want to become your go-to gold buyer in Mesa, Arizona.